We understand how overwhelming it can be when it comes to getting married in Spain. You are faced with so many choices for who to choose for your wedding suppliers, from DJs to Make-Up Artists, Cake-Makers to Wedding Planners. But rest assured with the Malaga Minister Wedding Celebrant team, you won’t regret your choice. 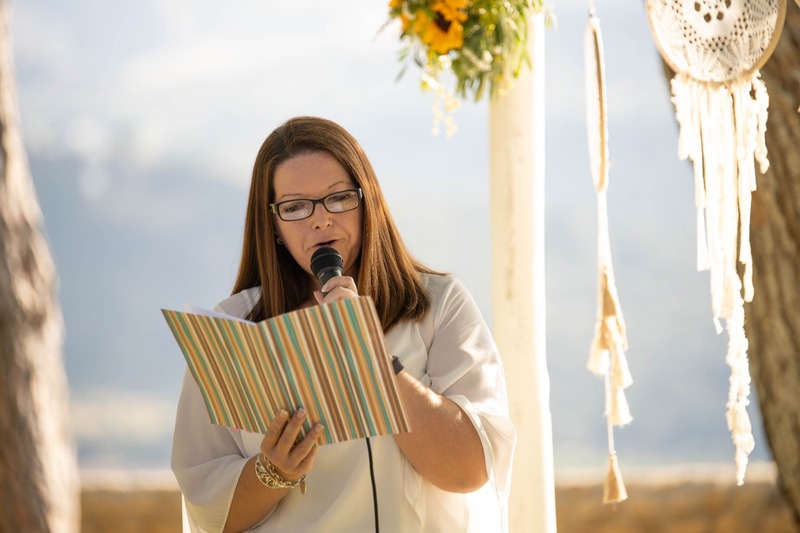 Not only am I one of the longest serving Wedding Celebrants on the Costa del Sol, I also bring with me a wealth of experience and expertise to weddings in Spain, which I have passed on to my two amazing associates Tara and Gayle. With over 700 weddings under our belt, having served a most varied and amazing range of beautiful couples, we are so proud of how we have helped couples from around the world, celebrate their joyous weddings here in Spain. For us, love is love and we welcome everyone with open arms. Here’s some other reasons why you’ll want to book us for your ceremony in Spain. Your celebrant arrives one hour before your ceremony to get organised, to pop in and say hi, if you’re staying on-site and to speak to all of those involved in the ceremony, ahead of the ceremony. You will have a celebrant who is a member of the Celebrants’ Collective, a group which provides professional development and support for Celebrants. You celebrant is legally resident in Spain and is also registered in the Spanish employment system, meaning that we pay taxes and social security. And lastly, because we are so much fun to work with and will use all of our passion to create the perfect wedding ceremony for you, here in Spain.